The NW Energy Coalition applauds Gov. Jay Inslee and the Department of Ecology for their commitment to reducing Washington state carbon emissions. The draft Clean Air Rule released today is positive step toward that goal. Electricity wired in from other states is not covered, which may have unintended consequences, such as increased out-of-state power purchases. Substantial issues with double-counting the same emissions reduction may persist. We appreciate the Department of Ecology’s efforts to address this issue through the new “reserve account” mechanism. 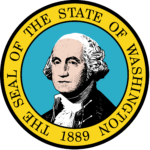 The rule generates no revenue for the state to further Washington’s clean energy transition or assist affected workers. Much more is needed. The emissions reduction targets are too modest to assure that the state does its part in stabilizing the climate. We hope for an improved final rule and continue to urge state policymakers to adopt a comprehensive solution that transcends the draft rules’ limitations. Visit Ecology’s website to comment on the proposed rule (deadline July 22) and learn about upcoming informational meetings and hearings.